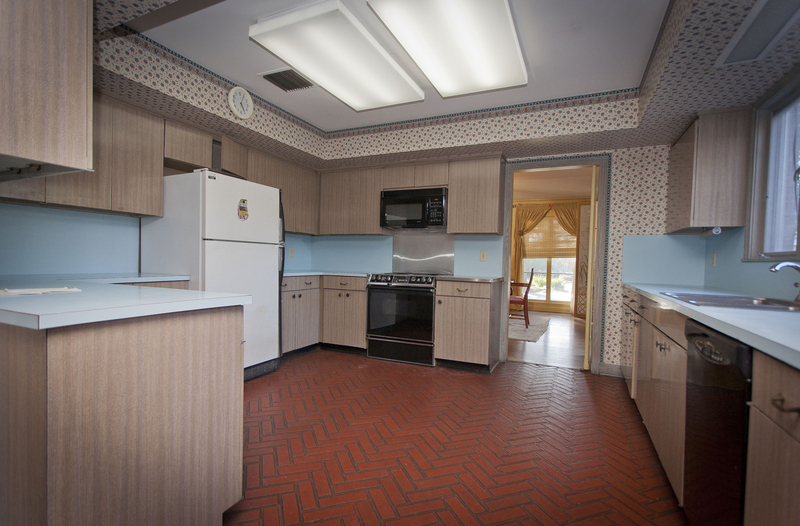 Once upon a time, our kitchens were strictly utilitarian spaces. This was back when June Clever (Leave It to Beaver mom for those too young to remember) was in the kitchen all day alone. They were very functional for one cook. The kitchen was isolated from the dining and living room where people gathered, so the finishes didn’t have to be fancy. 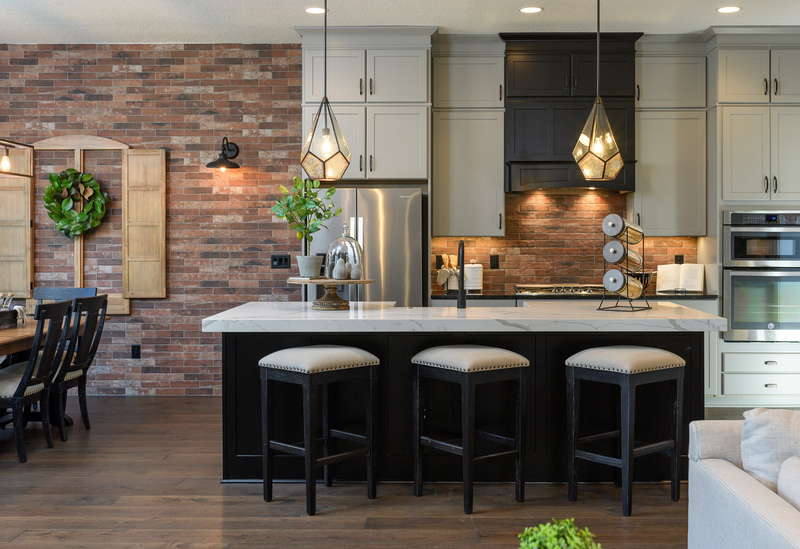 As a result, these kitchens sported laminate cabinets and counter tops, vinyl floors and avocado green or harvest gold appliances. Fast forward to today, our kitchens have come out of hiding and have been transformed from the utilitarian room to entertainment central! Yes- this is where the party is. 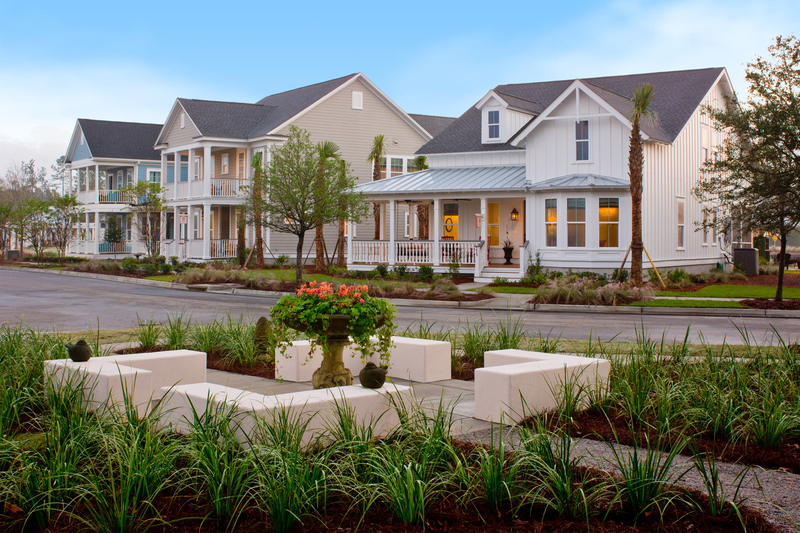 In response, homes now feature furniture grade cabinets, high end countertops with wood or tile floors. 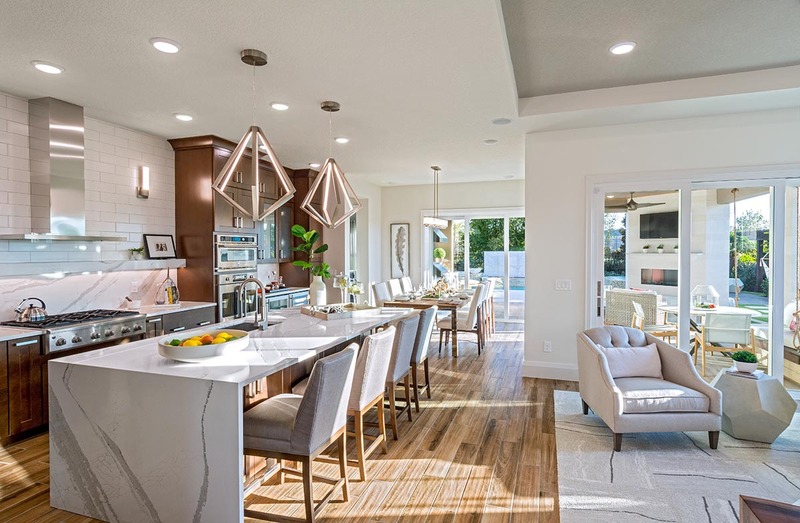 We gather around our oversized islands with ample seating and designer pendant lights. 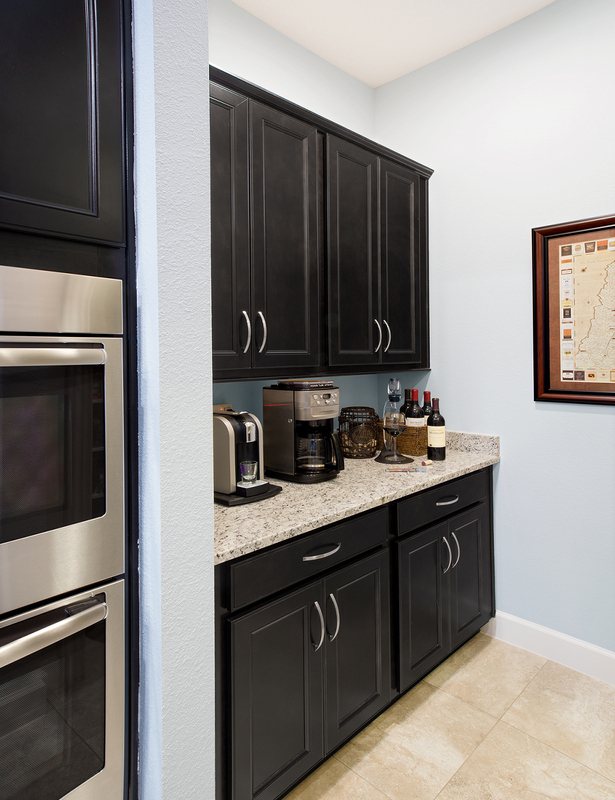 Our kitchens are meant to be showcased! Now that our kitchens have become the center of entertainment, we feel compelled to keep our countertops free of clutter. You know, the coffee maker, toaster, blender and other small kitchen appliances we use on a daily basis. Where do they go? Put them in the Messy Kitchen! Since it is just off the kitchen, they remain ready to use, but out of sight. You could say the Messy Kitchen is like a walk-in appliance garage! Perhaps you’re entertaining and you don’t want your guests to feel compelled to help with the dishes. Simply stack them in the Messy Kitchen where they are out of sight until after your guests depart. 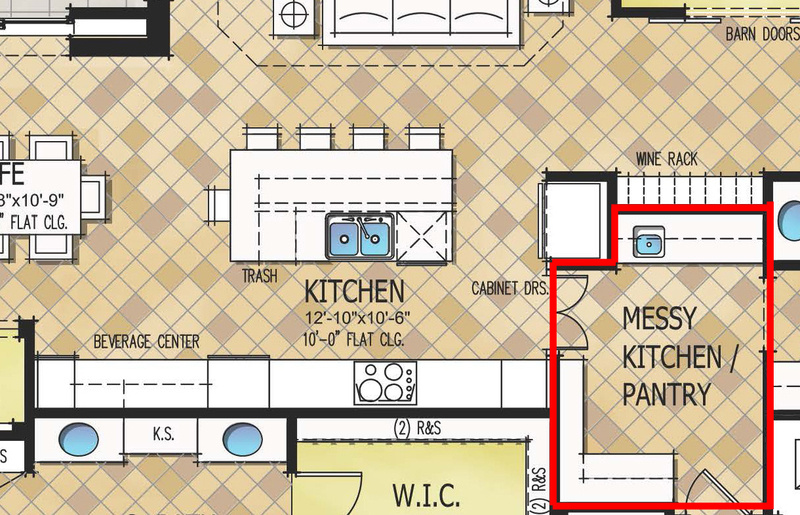 So as a builder, what should you include in your Messy Kitchen? This depends on your budget. 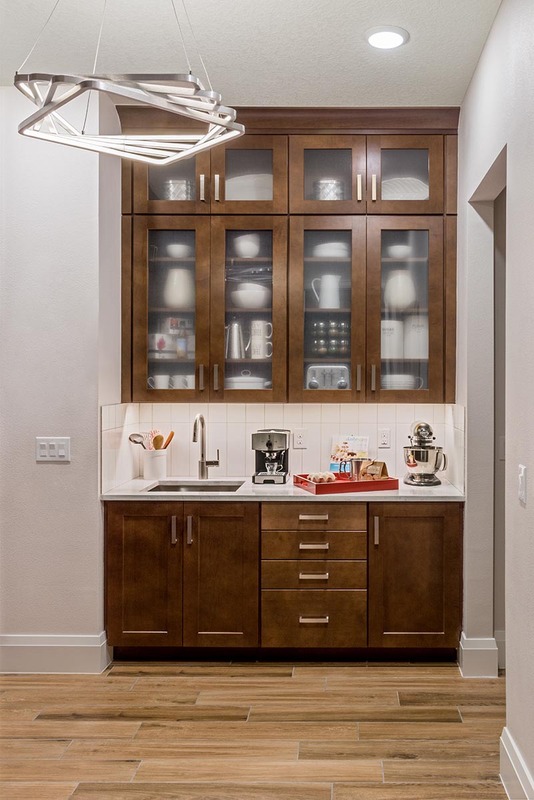 At a minimum, it should include base cabinets and plenty of outlets for cooking gadgets. I love the idea of an optional sink in the messy kitchen as a second source for water and for cleaning up – well, your messes! A second dishwasher is another great option – especially for entertainers. 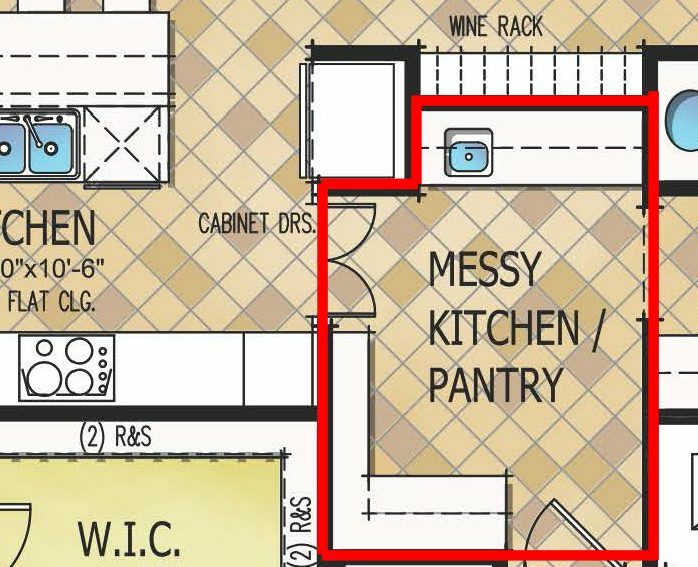 The Messy Kitchen can also double as a catering kitchen – a place for food to be prepared out of view of the guests. The Messy Kitchen brings back the utilitarian function to our kitchens so they can still be the center of entertaining and our daily lives.